London, United Kingdom: In a statement issued today, the Executive Board announced that the Republic of Peru had gained the permanent membership of the International Youth Federation. Currently, Peru benefits from a demographic dividend that contributes to addressing socioeconomic challenges and increase productivity and sustainable growth. Young people (15-29) in Peru represent 26.9% of the population, according to OECD. 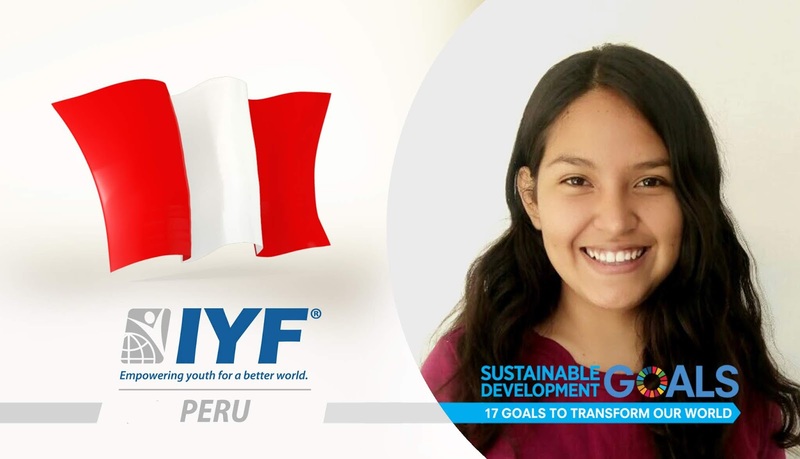 Our vision at the IYF is to enable young people in Peru to get their voices heard and giving talented and motivated young people the opportunity to acquire the skills and knowledge to actively contribute to the development of their societies. Ms. Estefanny is an award-winning young leader and motivated activist passionate about social transformation, sustainable development, youth empowerment, and advocacy. Through her community engagement activities, she supported education and economic empowerment organizations in Peru. Ms. Estefanny studied Economy at National University of Trujillo.